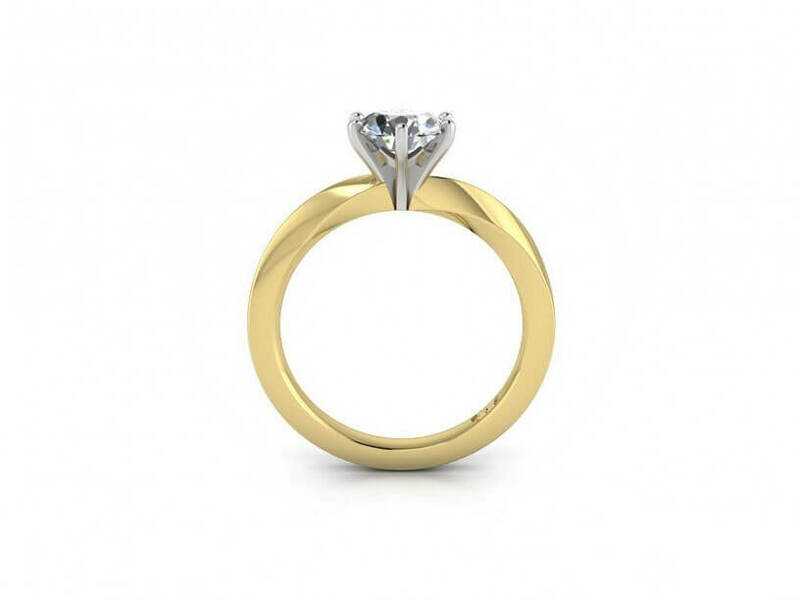 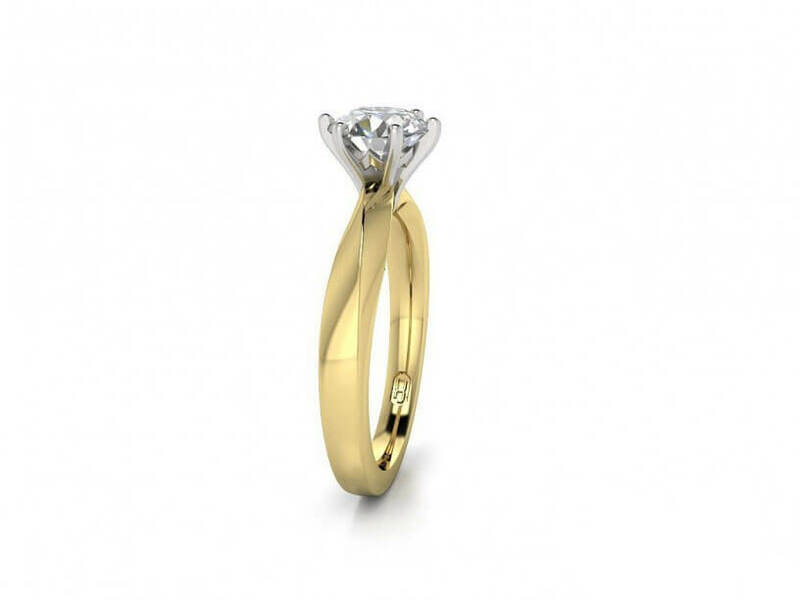 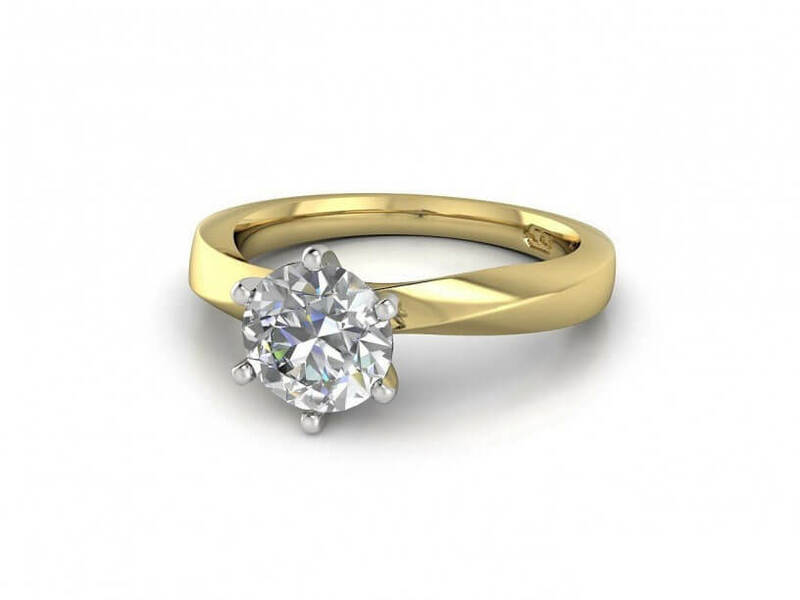 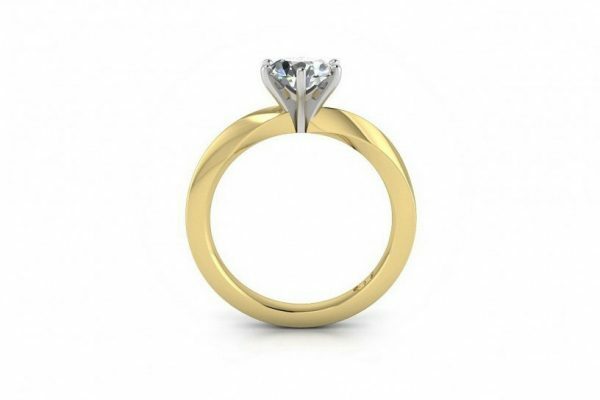 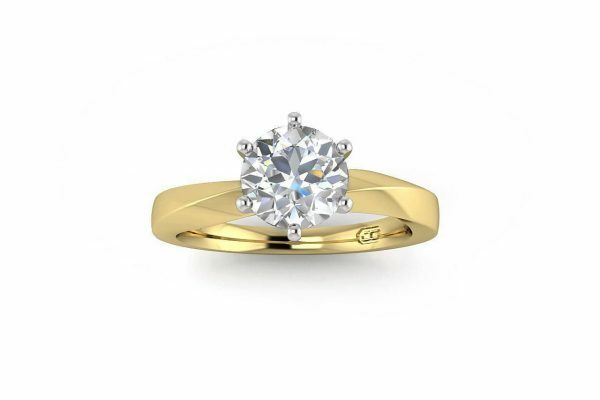 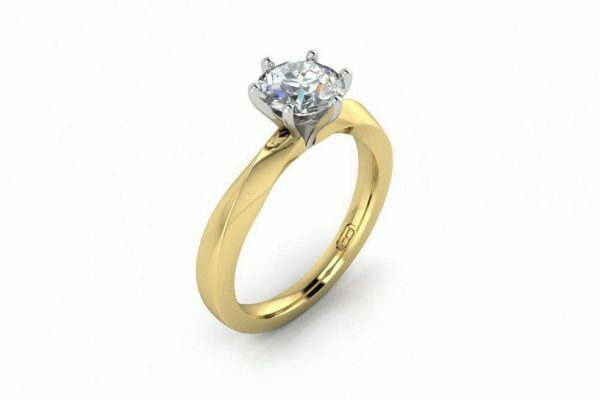 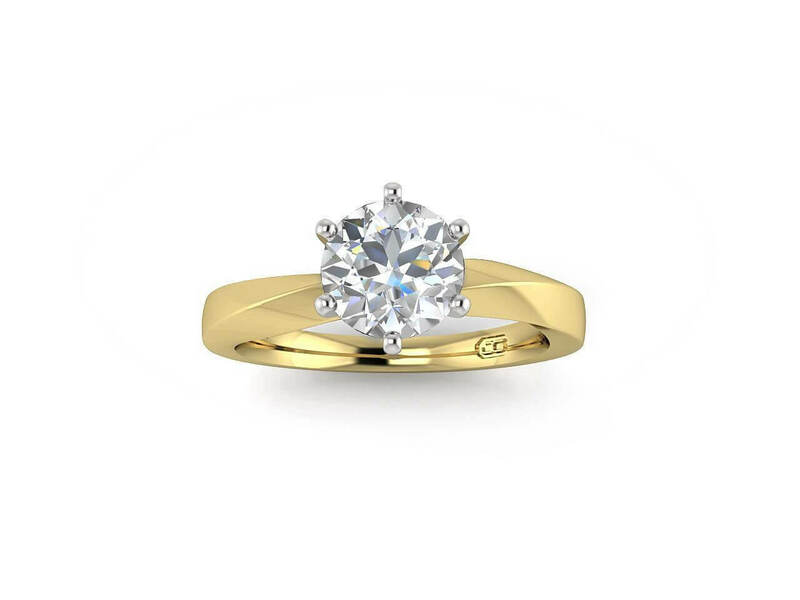 This 18k yellow gold solitaire diamond engagement ring with a uniquely twisted band can be set with your choice of size and quality GIA certified diamond. A matching wedding band with or without diamonds is also available. 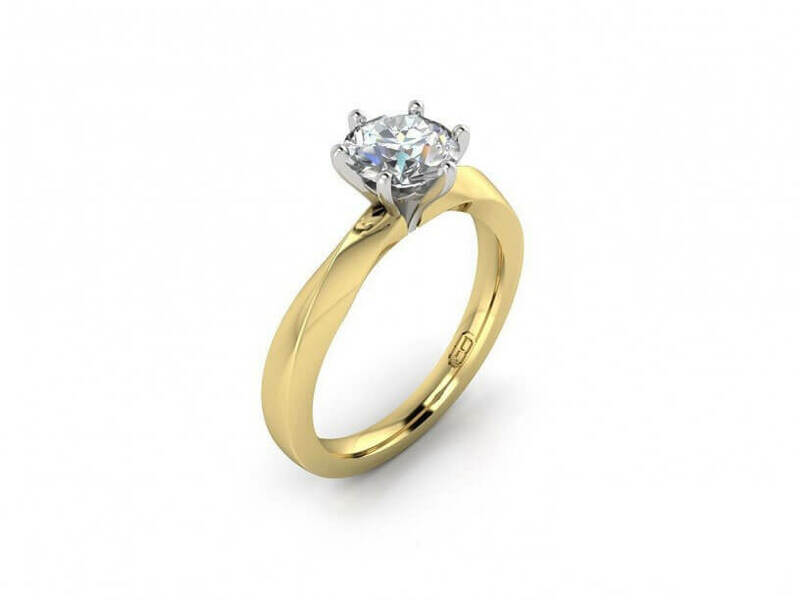 Contact us for more information by clicking the Product Enquiry button below.